Portugal tem uma história rica de descobertas, de exploração e de ciência, sendo internacionalmente um dos países mencionados quando se fala sobre o início da exploração polar, no século XVI. No começo da década de 2000, cientistas polares portugueses, de diferentes áreas de investigação, dão início a uma estratégia de atuação concertada com vista à participação de Portugal no IV Ano Polar Internacional 2007-08 - API (em inglês International Polar Year - IPY), e à consolidação e coesão da ciência polar portuguesa. É com base neste enquadramento internacional, com vertentes científica e educativa, que tem origem o Programa Polar Português - PROPOLAR. How has polar research in Portugal developed in the past decades? Polar research in Portugal goes back to the beginning of the 70s with the work of the marine biologist and oceanographer Luiz Saldanha in the subantarctic islands of Kerguelen and in the Arctic. Since then and for the following decade, polar research was conducted independently by few Portuguese scientists, integrated in international research groups and projects. The consolidation of Portuguese Polar research resulted from activities to promote polar science and research, carried out by the national Committee for the International Polar Year (IPY) 2007-2008. This event was the starting point to establish the foundations for a Portuguese Polar Program, a task promoted by the Portuguese Polar science community. The Scientific Strategy for the IPY, had three goals: i. developing a Portuguese Polar Program focusing on research and innovation, ii. signing the Antarctic Treaty, and iii. promoting a national program for Polar education and outreach. In 2007, the Portuguese Foundation for Science and Technology (FCT) implemented the Portuguese Polar Program (PROPOLAR) and funded research projects on atmospheric physics, cryosphere and polar biology, in the sub-Antarctic and the Antarctic. 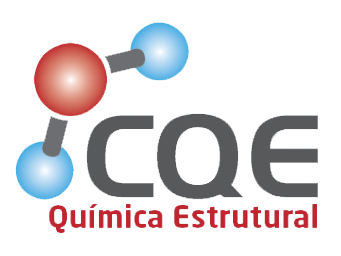 Private funding also contributed to the success of the IPY, particularly from the Programa Gulbenkian Ambiente in 2007, for the development of a project on Antarctic permafrost, and the Caixa Geral de Depósitos, from 2008 to 2014, for the implementation of the Grants for Young Scientists Program. Numerous education and outreach activities, funded by the Agência Ciência Viva, were then carried out and strengthened the importance of polar science before the Portuguese civil society. The first coordinated Portuguese polar campaign took place in 2011, with seven projects in the Antarctic, and the logistic support of partner polar programs. Campaigns to the Arctic and Antarctic are now occurring on an annual basis, with logistical cooperation mainly with Spain, Chile, Brazil, Bulgaria, South Korea, and China, among other countries, all contributing to the accomplishment of the Portuguese Antarctic campaigns. Portugal ratified the Antarctic Treaty in 2010, and the Madrid Protocol in 2014, and has established liaison with the major international polar scientific and management organisations and networks. 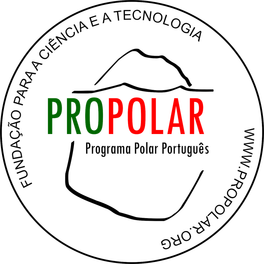 PROPOLAR in close connection with the FCT Polar Office, has ensured consolidation and sustainability of the development of Portuguese Polar science. Recent projects include areas such as atmospheric, marine, cryosphere, earth, environment, biological social and architecture sciences. Why is Portugal involved in studying Polar Regions? Although the Polar Regions are far from Portugal, their dynamics affect the entire Planet. 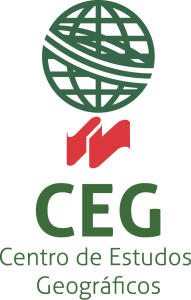 The Portuguese science community aims at contributing to the understanding of the Earth system, and particularly on how it reacts to human induced pressure, as Portugal is one of the countries most vulnerable to climate change in Europe. Temperature and precipitation changes are already affecting Portugal, as well as increasing extreme events such as severe droughts, storms, floods and heat waves, with significant consequences to ecosystem functioning and dynamics, and therefore to human populations, fisheries, forestry and other natural resources. Portugal also aims at benefiting of the excellent conditions of the Polar Regions as vantage points for conducting research in the frontiers of science, with strong international cooperation and excellent conditions for technological development and cutting-edge research. How is the Portuguese polar community set up? Polar research in Portugal is currently carried out at about 15 universities and public research institutes from various areas, mostly in the fields of natural sciences, with a special focus on biological, environmental and the Earth Sciences. Although with a recent history, the community is very active in both SCAR and IASC. Annually, the Portuguese Conference on Polar Sciences is organized, gathering about 50 participants during a 2 or 3-day event, where most recent results are presented and the needs for the future are discussed. What are the current initiatives of the Portuguese Polar Program (PROPOLAR)? 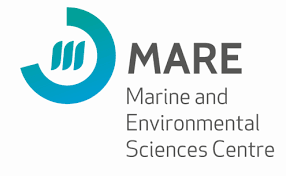 The Portuguese Polar Program working in close connection with the Polar Office from FCT is the organization coordinating the Portuguese Polar campaigns. Since Portugal has no permanent infrastructure in the Polar Regions, research is based on international cooperation and on the management and sharing of an Antarctic flight offered to partner programs. In the past five years, PROPOLAR has funded 49 research projects, provided access of 22 Portuguese scientists per year to the Polar Regions, and supported and managed 10 Antarctic flights, ensuring transport for 429 passengers and cooperating with 7 national polar programs. Coordinating the Environmental Impact Assessment procedures for Portuguese Antarctic research (presently with support of the Spanish Polar Committee and the Portuguese Agency for the Environment). What is the status of polar research in Portugal? Portuguese polar research is now well established and nationally recognized as decisive to the increasing knowledge of the Earth system and its responses to ever-increasing human pressures, and particularly to the understanding of the impacts of climate change. A long-term vision and integrated strategic plan for the Portuguese polar science is currently being prepared to provide clear overarching objectives and guidelines to the Portuguese polar science. This plan will reflect major scientific and societal issues to help Portugal dealing with developing resilience to environmental hazards and managing environmental change, as well as continuing to answer fundamental questions on the functioning of the Earth System. What are new initiatives of the Portuguese Polar Program?